These culottes have it all: the practicality of trousers and the feminine look of a skirt. 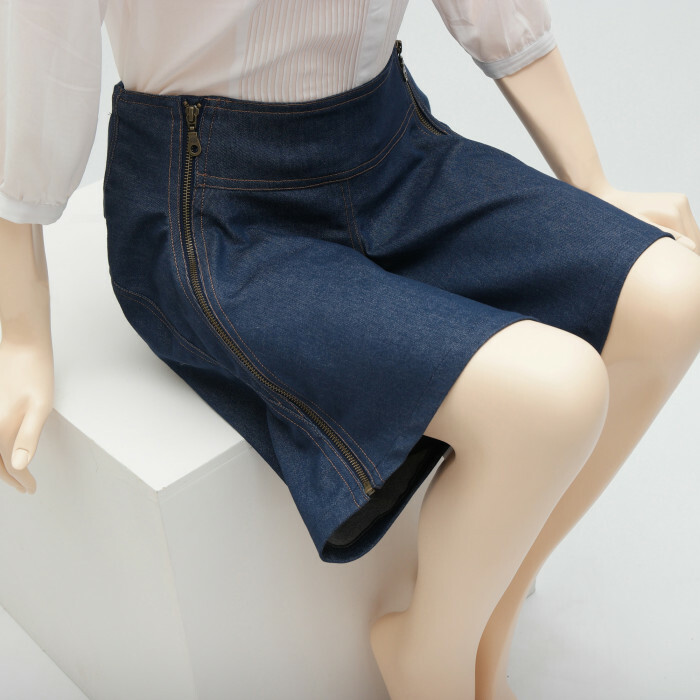 The legs flare out wide to create a skirt effect. Putting them on is really easy: just place on your chair, fold open, sit down on them and zip closed! Please note: Our sizes differ from the shopsizes you're used to! 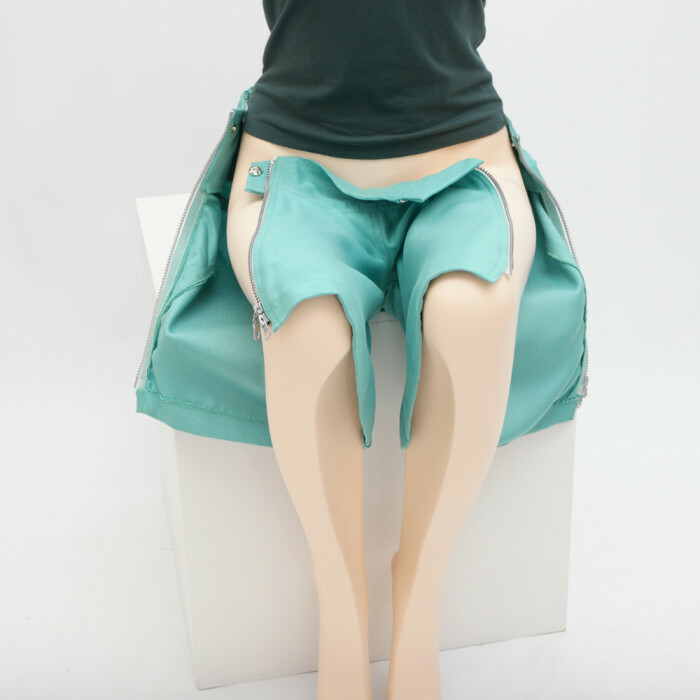 These culottes Mignon-seagreen feature two striking nylon vislon tooth zippers (grey/transparent), both open-end and running on a slant across the hips from front yoke to hem. Zipper length 40 cm / 15 ¾ inches. 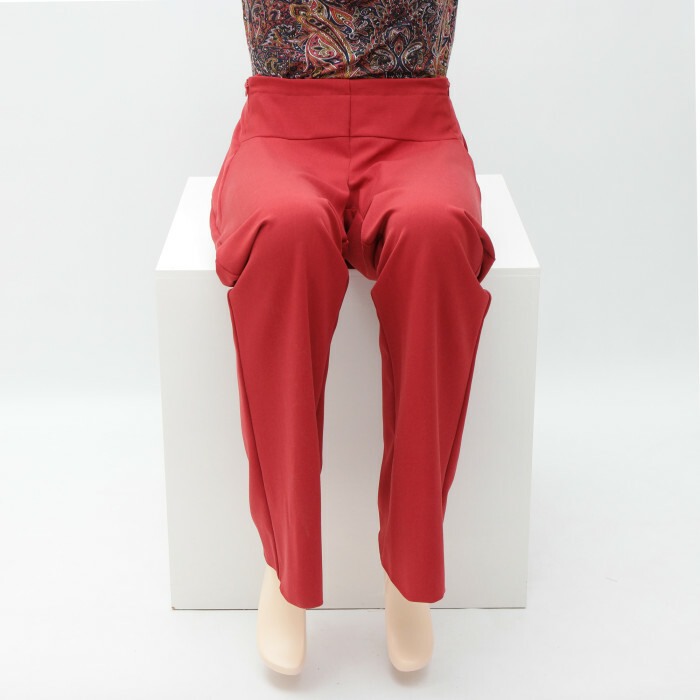 Both trouser legs can be zipped open to fold open the culotte as a whole. Two added press-studs inside the yoke ease the zipping. 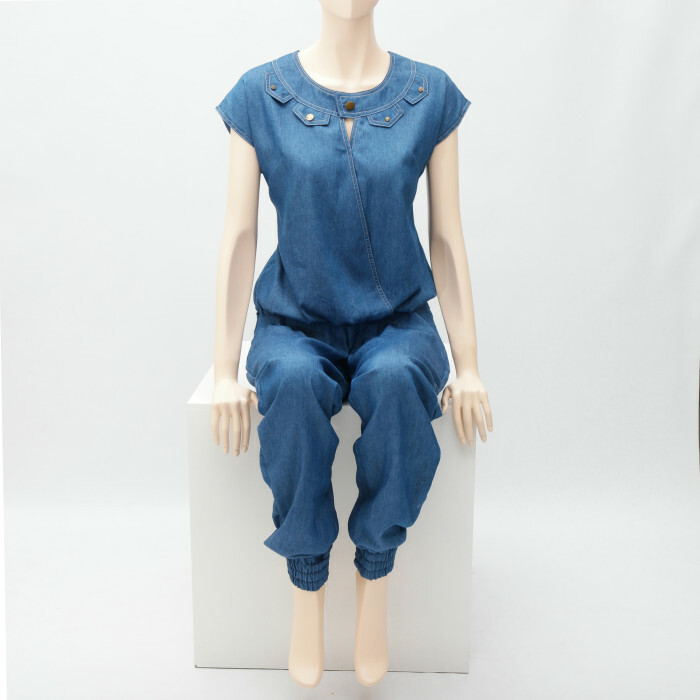 Place the open-folded culottes on the chair, sit on them, and zip to close. The slanting zippers also create a slimming outline. The yoke is extra firm and flattens the tummy area. The waist is elasticated at the back for perfect adjustment to your personal size. The culottes are cut high at the back and lower at the front. Made of a firm linen-look cotton in light green (100% cotton).
! 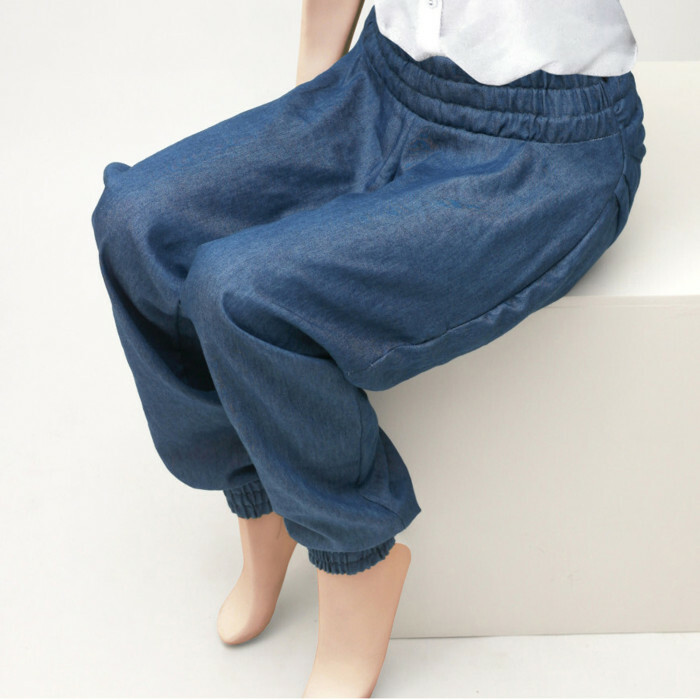 Walking in these culottes is possible, but they will not look right.